The Fashion Commerce Network (FCN) unites fashion marketplace websites with a network of luxury apparel vendors and boutiques from around the world. FCN’s assortment of brands and merchandise facilitates the expansion of your online store and presence, enabling powerful cross-merchandising, superb customer service, and ultimately a better consumer experience. 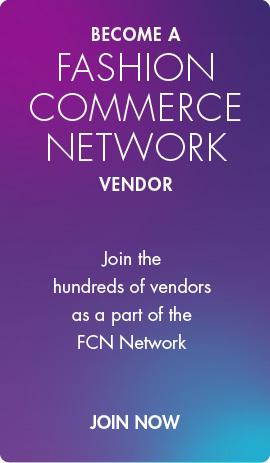 The Fashion Commerce Network (FCN) is an assortment of over 15 departments, 300+ vendors, 1,500 brands, and 500,000+ SKUs. Together with our Integrated Drop-Ship Management, the FCN provides an end-to-end solution for drop-ship order management. If your company is committed to offering quality merchandise, backed by outstanding customer service then we welcome you to join our network.